Gambling addiction or pathological gambling is a condition that impacts a person’s mental, physical and financial well-being, sometimes with serious consequences. According to the National Council on Problem Gambling (NCPG), 2.2% of adults in the U.S. are pathological gamblers (or “compulsive” gamblers). 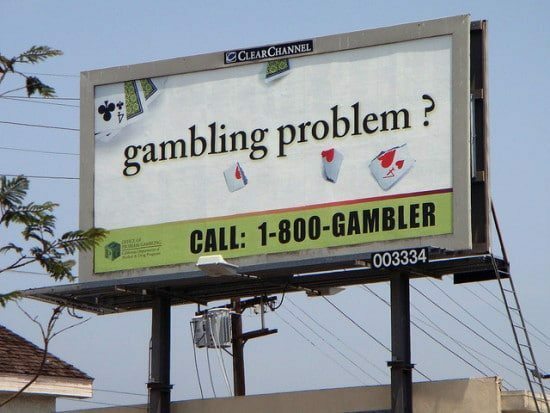 Gambling addiction affects people who play a variety of contests or games, including lotteries, scratch-off tickets, poker, table games at casinos, horse racing and of course, sports betting on professional or amateur games. SportsHandle is obviously in favor of legal, regulated, sports betting, but we are cognizant that many people struggle to see the boundary between responsible gaming and problematic behavior fueled by addiction. Put another way, we support only responsible sports betting. SportsHandle: I’d like to start by having you explain how gambling addiction differs from substance addiction or abuse. Dr. Kantrowitz: Gambling addiction is a bit different than most physical substance addictions like alcohol, cocaine and opiates, because it’s considered a process addiction, so it’s that compulsive need to do something. From working with patients and reading and studying about it, it’s not necessarily a totally independent phenomena, so often people who gamble, have a comorbid substance use disorder (editor’s note: ‘comorbid’ refers to when someone has two or more conditions at the same time), obsessive compulsive disorder, or a manic type of disorder like bipolar. Gambling often falls within that mix because it’s this compulsive need to do something. SportsHandle: Is it more often than not that some coinciding or additional condition is a factor in the addiction? Dr. Kantrowitz: Yes. Between the definitions and in the clinical realm of meeting people who say they’ve had chronic gambling, it’s chicken and the egg with something else. So the depression or anxiety, which could be related to substance abuse or the compulsivity to use the substances without caring about that consequence, the gambling goes with that. Other people gamble in order to make up for financial problems they’re developing as a result of some other issue, or they’re in some kind of manic phase or have a depressive issue, and they’re compensating for it. 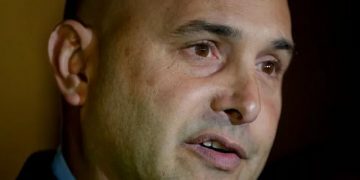 SportsHandle: Is there one form of gambling more commonly associate with addiction? For example, lottery play, slot machines, sports betting, horses? Dr. Kantrowitz: I think it’s individualized to the person and their circumstance, but of course things like lotteries, lottery scratch-offs, or people who go horse betting, I think it’s a little bit of circumstance there. The more accessible things are lottery tickets and scratch offs, and then casino gambling, which has become widespread throughout our country, and with the online betting realm there’s the internet in the palm of your hand. SportsHandle: Right, I’d like to focus on that a bit later. So, when does gambling addiction typically begin to manifest? At what age or what environment? Dr. Kantrowitz: In general, addictions can manifest at any age, but people tend to develop substance abuse or process issues in their teens or early twenties. As the brain continues to develop, often these behavioral and psychological changes occur then, but of course, there’s always the median and then the outlier of people younger and people older starting their use disorder. SportsHandle: Is gambling addiction a problem typically associated with one economic or socioeconomic class, lower or higher income people? Does that play a role? Dr. Kantrowitz: I think that, especially given the comorbid nature of it, anyone can be affected. I look at all of addiction, gambling included, as a biologic factor. So of course, these kind of modifiers of race or gender or religion play a role but then can be limited because some people are just biologically predisposed. It’s also the social context in which they live. If they live in an area where their access is limited, they may not know of it to have the problem, although they might have some other compulsivity. SportsHandle: Getting more into the logistics of gambling, what’s a typical course of an addiction? Does it start as a mild problem, become serious, and then eventually end in bankruptcy? 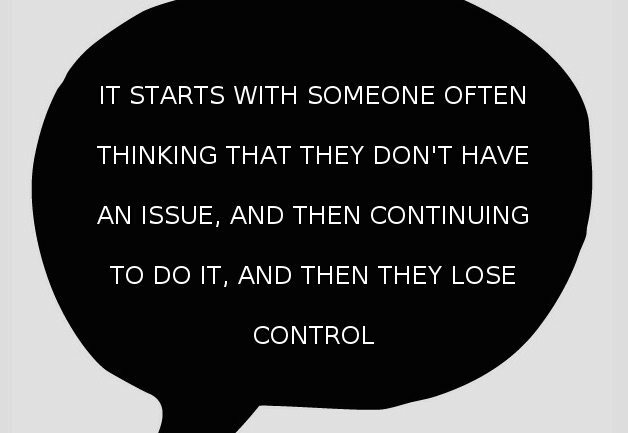 Dr. Kantrowitz: It starts with someone often thinking that they don’t have an issue, and then continuing to do it, and then they lose the control. They continue to do it despite consequences. As far as the stages or changes in their relationships — with family, with friends, work — that’s a little bit individualized, but once those factors enter is when somebody develops the full diagnosis. But many people often don’t present that to a practitioner even when they present for some other comorbid issue. For example if someone is an alcoholic or abusing some substance, or he’s depressed or anxious or thinks he’s manic, or behaving in some odd way, it has to be parsed out by a skilled clinician that hey, gambling is part of the problem or might be the root problem that might have led to some of these other issues. Often gambling can hide, and if it’s not screened for, it’s easily missed, even among skilled clinicians. It’s something that there are screening tools that are using in clinical environments. Have you heard of the South Oaks Gambling Screen? SportsHandle: No, I’ve not heard of that. Dr. Kantrowitz: It’s a good questionnaire to kind of rule in or out. It’s pretty well validated. SportsHandle: Thanks. We’ll link that. What are some warning signs showing a difference between say, gambling as entertainment versus problem or irresponsible gaming that a friend or a person who maybe suspects that he himself is suffering can look for? Dr. Kantrowitz: If to a casual friend or a colleague or family member, it’s changes in their mood or it could be changes in appearance. If they’re noticing changes in substance use of all types, say drinking more, or engaging in risky behaviors. You might notice a person’s inability to stop gambling in an environment, especially when losses might be mounting. In general, I’d say that if somebody sees something, especially an odd behavior with someone, it’s to say something, but that’s always the hardest thing when you’re close to somebody. Or try to find another way to get them assessed and get help before the disease really progresses and can take a toll and families and society. SportsHandle: Is gambling addiction generally treated with medicine or behavioral therapy, or some combination? Dr. Kantrowitz: It’s a combination. As a medical practitioner, I find a combination works. I think you have to approach it from multiple angles. My general approach towards substance use disorders is what I call the ‘Dr. Kantrowitz Diamond’ of biological, psychological, social, and spiritual approaches. You have to think holistically. There are biologic treatments. There’s medications, and there’s varying studies and research as far as the effectiveness or what’s the best or what combination, and once again, addiction and substance use is so comorbid that often you’re killing two birds with one stone. As far as drugs, there are things like Naltrexone. You might have heard of the or seen ads for Vivitrol. SportsHandle: I’ve seen some ads. Dr. Kantrowitz: It’s an injectable drug. Vivitrol or Naltrexone, which is the base drug in it, has been found to works on the brain and the opioid receptors because the opioid receptors working within the entire brain addiction pathway, they’ve found that if that’s blocked, that compulsivity, that kind of high feeling that people get, is minimized. Antidepressants are also used, mood stabilizing agents, varying forms of psychotherapy, cognitive behavioral therapy, psychodynamic therapies, which often treat multiple issues as well are used. There’s 12 step groups for mutual health like gamblers anonymous, which people may enroll in or join as well. SportsHandle: Regarding sports betting, is there anything unique about how it presents or impacts a person’s problem or experience? Dr. Kantrowitz: I think in terms of sports betting, I would associate it to that experience of people feeling a rush or thrill with going into the social realm, like a gambling facility, and then feeling that kind of pride that people often find in a sporting event realm. And then they might inappropriately feed off of that and really fixate on something that’s an inanimate object in inanimate ways, like putting their money on it, and then forcing it where they’re thinking, ‘Hey, this is my lifeline or in my blood to feel this dedication.’ And that’s where that impulsivity and the control and lack of it occurs. SportsHandle: You mentioned the rush or thrill and inappropriately feeding on that. How would you describe a healthy expression of somebody betting on sports? 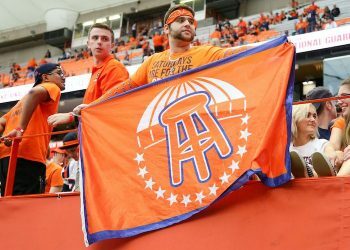 Dr. Kantrowitz: I think if it’s done in kind of a community way, people having a Super Bowl pool or a March Madness type of event, which are low stakes, low quantities of money, fun, in a friendly spirit versus someone going out to a casino or betting parlor and putting thousands of dollars on it. I think it’s a contextual thing, but even in that regard, sometimes these small things to the untrained friend or colleague could really be a deeper problem, somebody who seems to be quote ‘taking it too far’ and getting too emotional about it. SportsHandle: Do you think gambling online poses any different risks than lottery or the casino-style games, or any other forms of gambling that may become addictive? Dr. Kantrowitz: I think it can because people are using money, real money, but they’re not actually seeing a physical aspect. There’s no chips that’s going with it or other physical token other than say money and in a digital based economy account increasing or decreasing, and the fact that it’s just so accessible. You don’t have to go anywhere. You can do it probably from the palm of your hand with technology today so you’re not having to leave, and it’s also a way to hide it. It can be a little bit harmful because if somebody has that problem, they can hide it from a significant other, a colleague, a friend. They can do it in places like work or anywhere they basically go and have an internet connection, they can engage in it and for a period of time, go unseen. Where inevitably an issue pops up is when the behavior changes, they’re distant, they’re depressed, they’re anxious, they’re moody. But in terms of possible safeguards, perhaps there could be something within the online sports betting realm that could be used to help people. I think things like appropriate popup ads or screening modalities, but that’s also an issue of privacy and personal health that might be out of a sports betting company’s interest or expertise of getting involved. They might not want to be screening people for substance use disorders. It’s not very productive because they might lose clients while at the same time, People have free will. We live in an open society, so it’s kind of finding that appropriate balance. SportsHandle: Right now in the U.S. there is just massive billions of dollars being bet illegally on sports. People will seemingly go to no ends to satisfy their desire to bet, so perhaps if this exists under a sanctioned or regulated environment, with more of those controls and popups like you say, theoretically, it should make it safer and allow people to access help more readily? Dr. Kantrowitz: Yeah, I agree. I think that we can use and even, especially in addiction treatment, there all kinds of software, programs, apps, technologies, that are being worked with people to help as they’re especially in the grips of it and in early recovery, reach out to therapy, to counseling. Oddly enough, technology is really bringing people closer. You can get a therapist or get help at the palm of your hand. You don’t have to necessarily even wait a day or wait an hour. You can do things 24 hours a day. There are these technologies that are out there that have been developed and tried and are being tried in various regards. SportsHandle: Speaking of help and resources, are there any that you recommend online or a phone number for somebody with gambling addiction? Dr. Kantrowitz: I think one of the first things is contacting any of your local or state-based problem gambling number and using the generalized resources. But also seeing a therapist is useful or an addiction medicine doctor or an addiction psychiatrist professional or mental health professional. If you or someone you suspect has an issue, trying to engage them and help get them assessed and screened. Often there’s resistance to that, but at the same time, if there is some acceptance and open mindedness to it, that’s often the first step to getting somebody the full scope of services and help that they can possibly benefit from. For more information about problem gambling in your state, visit the National Council on Problem Gambling.